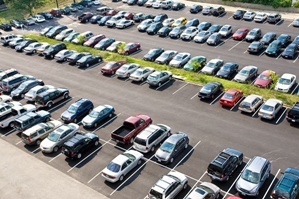 Parking lots can be busy in the Seattle area at any time of the year, and you could come back from shopping or running other errands to find your parked car has been hit by another vehicle. The driver who hit you may be long gone and may not have left you a note with his contact information. However, there are still important steps you need to take to protect your right to compensation for the damages to your vehicle and any injuries you or a family member suffered. Seek medical care. If you were in your vehicle at the time it was hit and were injured, you should obtain immediate medical care. You should be examined soon after your collision even if you do not believe you were hurt in case you suffered an injury that takes longer to develop, such as whiplash, back injuries, and traumatic brain injury. Take pictures. You should take pictures of the damage to your vehicle, the area around where you were parked, and your injuries, if you suffered any. Look for witnesses. There may have been witnesses to your accident. You want to try to locate them in the parking lot if possible and obtain their statement and contact information. Find surveillance tapes. If the parking lot had a security camera, you may be able to get a copy of the surveillance tape that can show how the accident occurred and help you identify the at-fault driver if he left the scene without leaving you a note. Contact police or security guard. You should call the police to report the incident, but they may not come to the scene or write a report. Larger parking lots, such as at malls, may employ private security guards to monitor the parking lot. If so, you should also contact them to report your crash and obtain an incident report. You may need it when you file your insurance claim. Contact the insurance company. You will need to report your accident to your own insurance company and file a claim if you do not know the identity of the driver who hit you. If he left his contact information, you should file a claim with his insurance company. Retain an attorney. If the damage to your vehicle is truly minor, you may be able to settle your claim on your own. However, even a “minor” collision can cause thousands of dollars in damage to your vehicle. In this case or if you suffered injuries, you should hire an experienced car accident attorney to assist you in filing your claim—even if it is with your own insurance company. Were you involved in a parking lot accident in the Seattle area? Our experienced car accident attorneys are here to answer your questions and assist you in filing your claim. Just call our Bellevue office to schedule your free consultation to get started. Post a Comment to "Steps to Take If Your Car Was Hit in a Parking Lot"